This album was recorded on the 14-15th February 1968 one week before Ralph cut the Over The Sunset Hill LP for King. Melvin Goins' was absent from the session, and Frank Wakefield was brought in on mandolin. 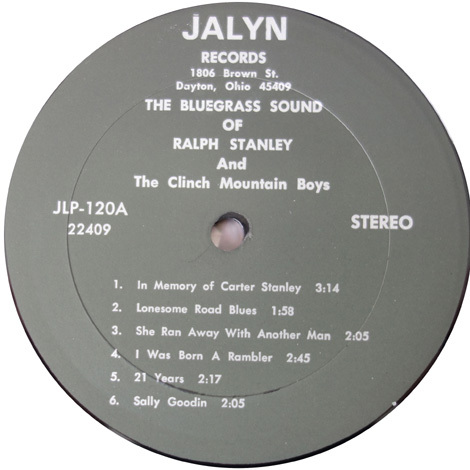 It's interesting that on both albums Ralph cut for Jalyn the mandolin is used much more than on the three King albums. 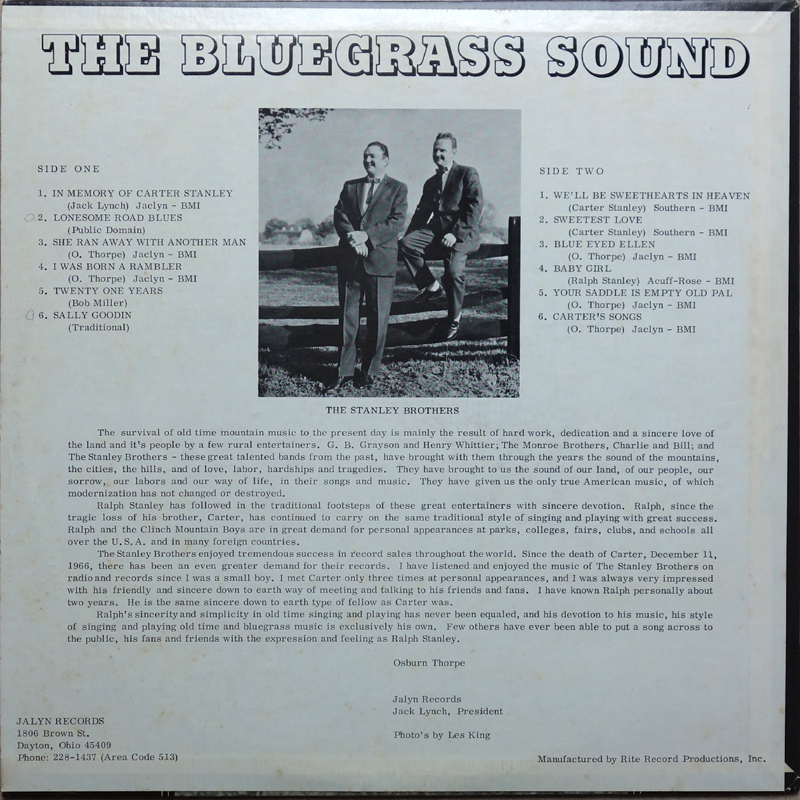 'The Bluegrass Sound' was partly funded by Osburn Thorpe in exchange for copies of the record, which he could then sell/distribute. Osburn is credited with five of the twelve songs and also wrote the liner notes. 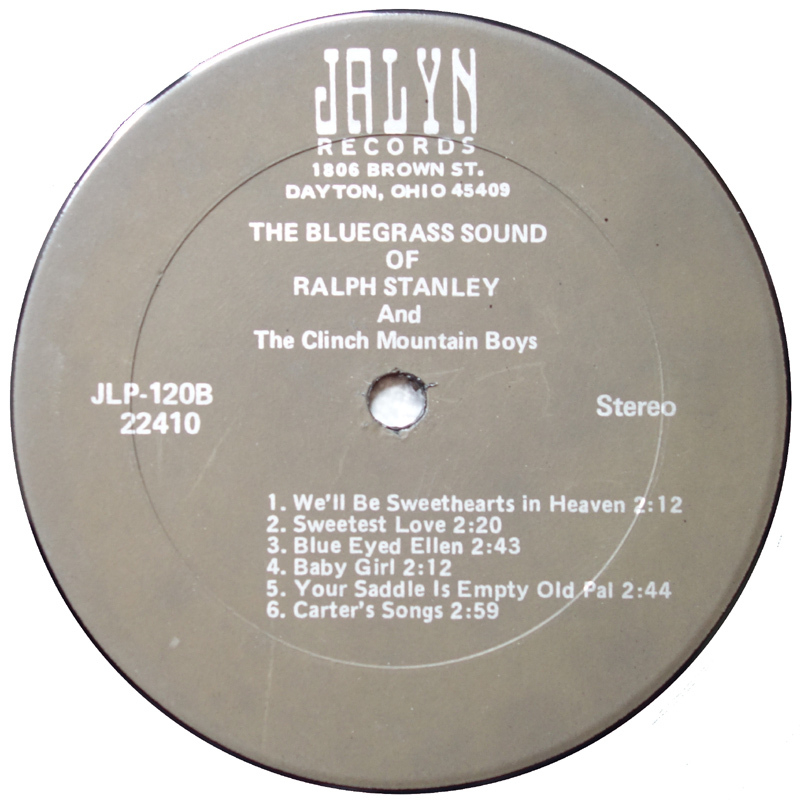 Ralph also recorded his A Little Soldier For Jesus on Over The Sunset Hill and later Ralph recorded his Darling Brown Eyes (Hills Of Home and with Jimmy Martin First Time Together) and Green Pastures In The Sky (Old Country Church). 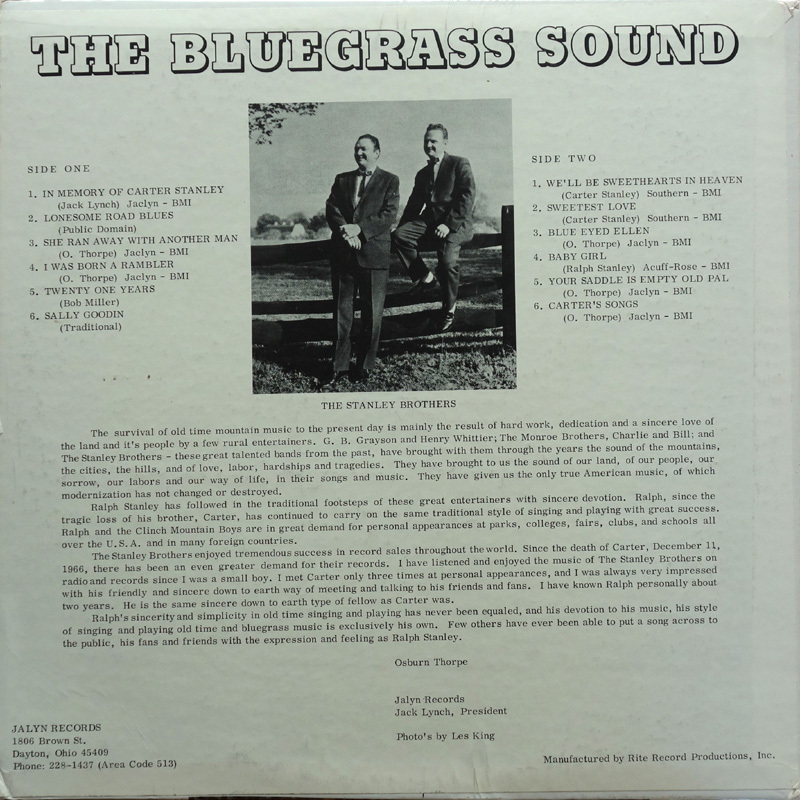 In total Osburn has 67 titles listed in the BMI repertoire, some of which were also recorded by Larry Sparks, Roy McGinnis & The Sunnysiders, Cliff Waldron and The Bluegrass Blackjacks. Of his songs on this album, Blue Eyed Ellen is a murder ballad; She Ran Away With Another Man and I Was Born A Rambler are rather self explanatory tales of loss and trouble; Concluding the album there's also Carter's Songs an intriguing but not particualry successful exercise comprised of lyrics taken from Carter's song titles. One track, Your Saddle Is Empty Old Pal a cowboy trail song, although credited to Osburn was actually written by Cliff Carlisle as Your Saddle Is Empty Tonight / Riding The Trail (Your Saddle Is Empty Tonight) in 1933. Curiously there are BMI song writing credits for Osburn (Ozzie) Thorpe for under both Riding The Trail and Your Saddle Is Empty... titles. 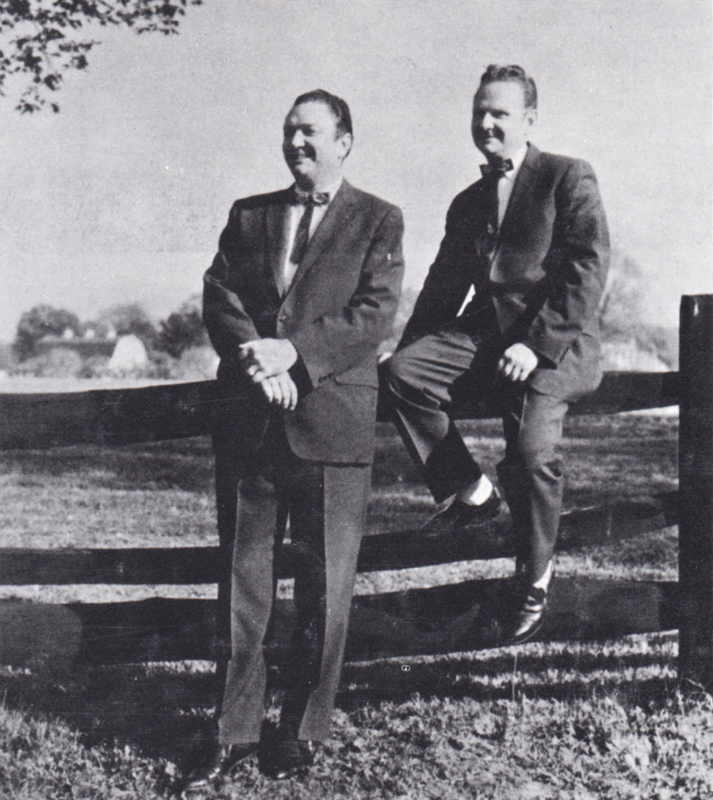 The Stanley Brothers had also cut the song on the 1964 John's Country Quartet LP. Osburn was born in Breathitt Co. KY in 1933. He worked as a police patrolman and later was Deputy Sheriff in Montgomery Co. Dayton, OH. He later moved to Indianapolis, where he died in 2000. 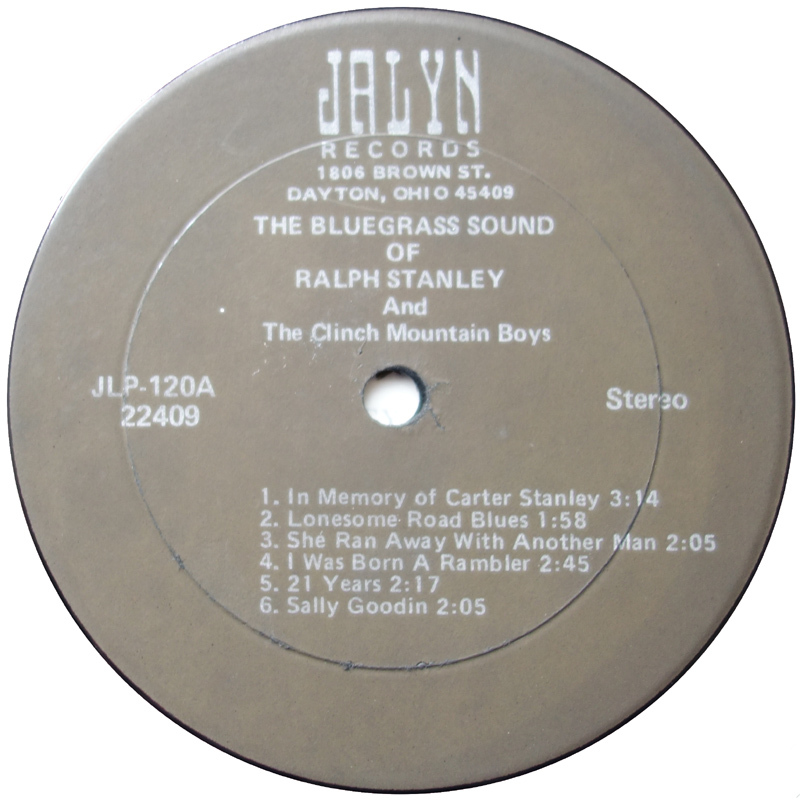 Jack Lynch contributes one song, In Memory Of Carter Stanley, which he'd earlier recorded with Roy Lee Centers as Jack Lynch and The Lee Brothers (In Memory Of Carter Stanley/I Can't Forget You (Jalyn 45-312) 1967) and which Don Reno & Bill Harrell had also just cut on 'The Most Requested Songs' (Jalyn JLP-119) - with George Shuffler on bass. 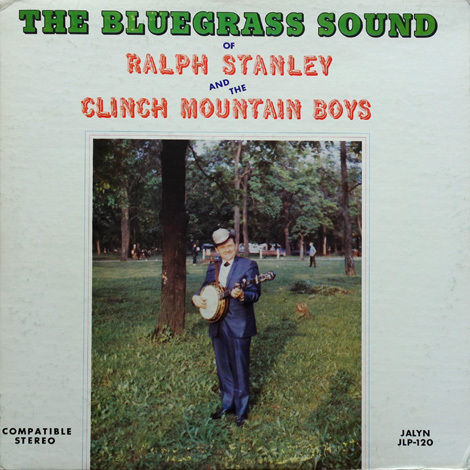 The Clinch Mountain Boys, with Ralph absent and Roy Lee Centers on banjo, also recorded it in June 1971. That version finally saw light of day on the Classic Stanley 2xCD set. The song was originally partly written by Gene Duty, which he gave to Jack Lynch. Curly Ray Cline had previously recorded Twenty One Years as part of The Lonesome Pine Fiddlers first RCA Victor session in 1952. There was also a B&W version of the sleeve, which is pressed on thinner vinyl and is probably a later reissue. 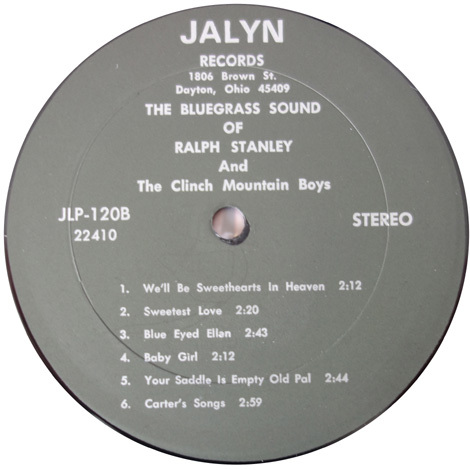 The Colour cover version has "RITE 448 Stereo Jaylyn JLP-120A 22409 (10) 2" scratched in the dead wax, while the B&W sleeve version has "#2 22409(10) 11·3·6 RITE CRS". Thanks to Todd Gracyk for the Your Saddle Is Empty Old Pal correction. John Wright's "Travelling The High Way Home" book (p252). John Wright's "Travelling The High Way Home" book (p164-166). 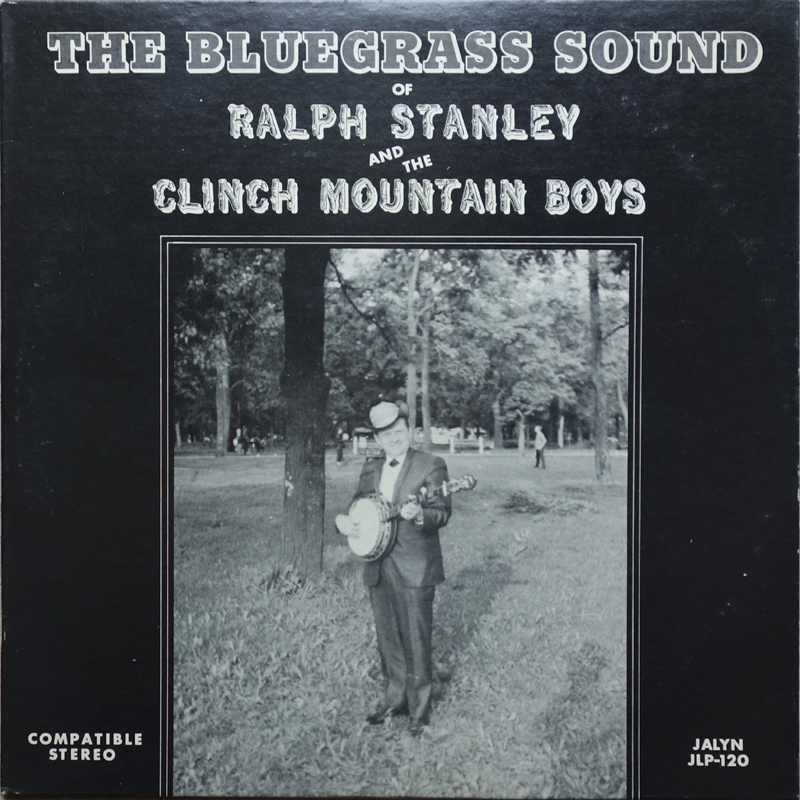 See the Sings Michigan Bluegrass for more details on Gene Duty. Liner notes to The Lonesome Pine Fiddlers - Windy Mountain (Bear BCD-16351-AH) 1992.